What is your favorite home improvement show? Even if you don’t have one, you can’t deny how popular home repair TV shows are. For one thing, it seems like they’re everywhere. And we’re not just talking about the small screen here. Every home makeover show has its own website, Facebook page, Twitter account, YouTube channel, and so on. And this is probably why some homeowners are convinced they can take on home repair projects themselves and not call the pros. 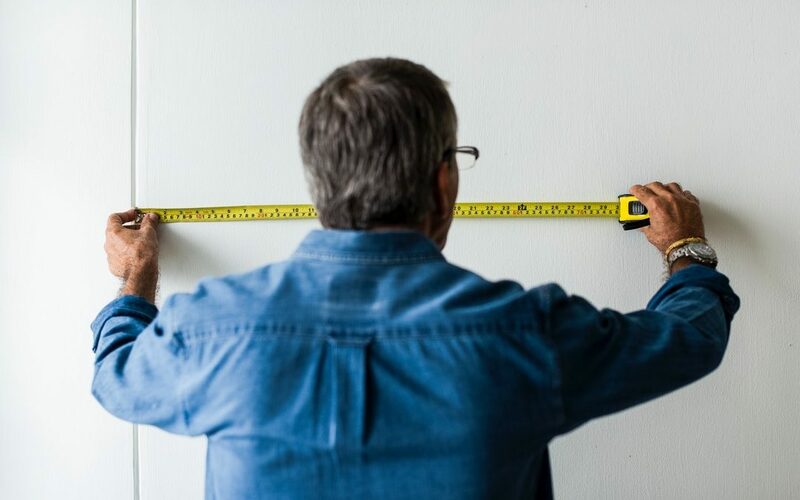 Of course, not every DIY home repair project will be a success, which is something you have to seriously consider if you’re planning to sell your home. Here, we’ll talk about which projects are best left to the pros so you don’t give yourself a headache later on. The dangers of asbestos are well-known. Which is why it doesn’t make sense for anyone to attempt a DIY asbestos removal. And besides, there are laws and regulations concerning asbestos removal that property owners have to abide by. You don’t want your neighbors complaining about how you’re endangering their health. If you want to get rid of the asbestos in your home to make it sellable, the best way to do it is to hire an asbestos abatement team. Now, this seems like the type of DIY home repair anyone can do. After all, how hard can it be to use a sledgehammer? Plus, it looks like a lot of fun. That is until you hit an important structure or damage some electrical wires. And then you’ll have to think of how much money you’ll have to spend on hiring a contractor and an electrician. Here’s a pro tip: forget about using a sledgehammer. Save yourself the hassle and leave the demolition work to the experts. No matter how many video tutorials you watch, you shouldn’t do electrical jobs by yourself. It’s too dangerous. You could get electrocuted to death or burn your house down. And even if you can rope in a friend or relative to help you out with the electrical work on your home, there’s no substitute for a professional’s work. Unless you’ve had training, there’s no way to tell if you’re wiring things properly. Now, you may be thinking that installing light fixtures isn’t included here. But it’s still a project that could go so wrong. You could pop breakers or spark outlets. And these are mistakes that cost more to repair. If you think electricians are expensive to hire, just think of how much more you’ll have to spend on correcting electrical mishaps. Like electrical repairs, the risk of something going wrong with gas appliance repairs is too high. So if ever you’re tempted to tinker with your furnace or water heater, make a note of these two things – fire and death. One wrong move and your gas appliance could explode. Or it could be a slow death in the form of a gas leak. The fact is, there’s not enough money you can save by doing gas appliance repairs yourself. Even something as simple as moving a gas appliance like an oven could cut off a gas supply line. The wise thing to do is to not think twice about calling a pro for any work involving gas in your home. What’s not to love about basement work? It looks easy enough to do, and if you make a mistake, no one will see it anyway. Right? Maybe if you’re not planning to sell your home, you could put your not-so-perfect basement out of your mind. But trust us, a home inspector can and will find out if you have something to hide. If you think you can get away with the basement problems you’ve created (e.g. wrong studding or a bad underpinning job), think again. The thing you have to remember about basement renovations is they could affect the structural integrity of your home. And any mistake could set you up for costly repairs down the road. Do the smart thing and hire people who can ensure your basement renovations won’t need a home structural repair later on. Plumbing bills are almost always expensive. So anything you can do to avoid that would be awesome. The problem is some homeowners take it too far. They don’t call a plumber even for plumbing issues that need extensive repairs. They think if they can replace a faucet or install a toilet, they have what it takes to do major work on their plumbing system. And then when a simple leak turns into a flood, they realize they should have called a plumber right from the start. Don’t let this happen to you. Don’t let water damage something you’ll have to deal with before listing your home. Repeat after us: You’re not Spider-Man. Don’t injure yourself trying to repair a shingle or two. Plus, it’s a backbreaking job. And the more tired you are, the easier it is to slip and fall off a roof. There’s also the possibility of doing more damage than you intended. You can end up with a leaky roof, which can lead to water damage. Again, both of these will cost you more to fix. Make the right decision and call a roofing contractor who can do a faster and better job than you ever will. Home repair takes on a different meaning when you’re trying to sell a home. Yes, you want to save money. But your number one priority should be to get the best price for your home. You’re not going to do that if you have unfinished DIY home repair projects or if you have extensive damage you’ll have to deal with first. Be honest with yourself and know your capabilities. When in doubt, leave it to the pros. The money you spend will always be less than having pros come over to fix your mistakes. Need More Home Selling Advice? Now that you understand which home repair projects are best left to the pros, you can focus on the other aspects of selling your home. To help you out, here’s a home inspection checklist for sellers. You might also want to check out A Seller’s Guide to Avoiding Home Inspection Nightmares. For more articles like this, feel free to browse around the site.